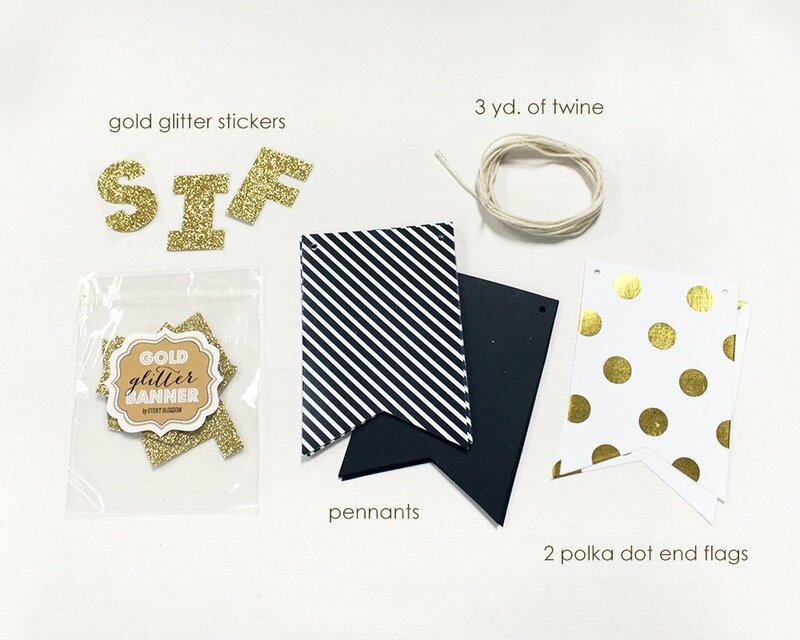 Have you seen this DIY mini gold glitter banner kit yet? If not, then get ready for a mind blow. 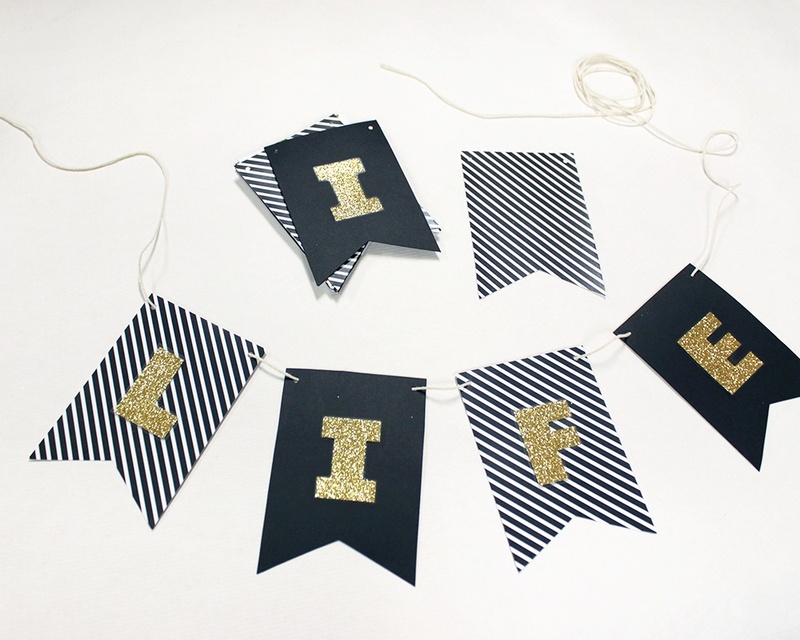 It’s a banner, it’s a kit, it’s a DIY – basically, it’s the bomb. 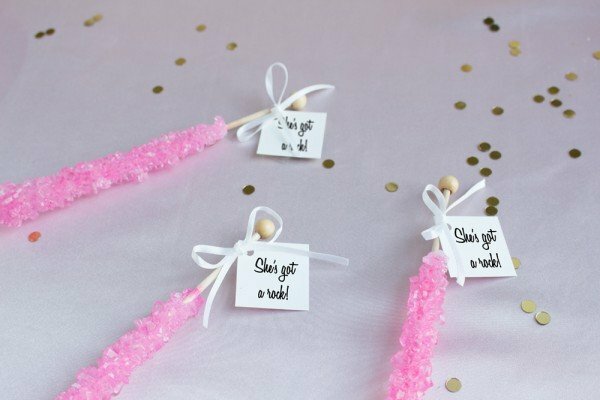 Use this kit to assemble a custom banner to decorate an upcoming birthday, wedding, or holiday party. For this look, we used the banner to decorate a wedding themed dessert bar. 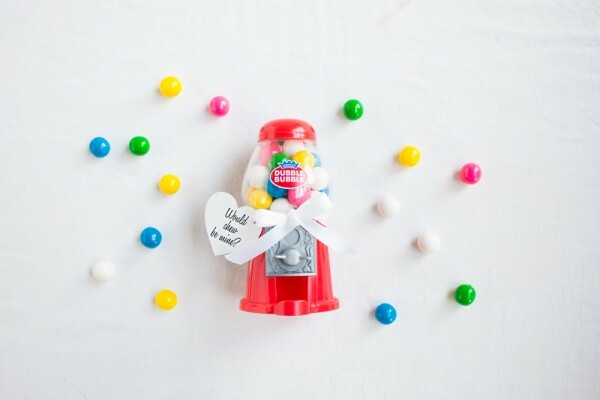 Here’s how to get the look. 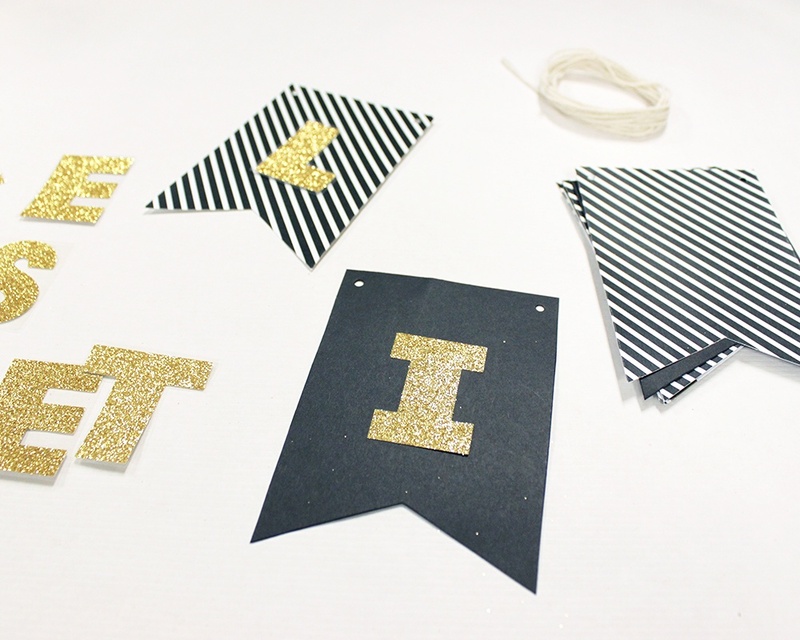 Once you’ve decided on your special message, peel the backing off of the glitter sticker letters and apply to the pennants. Voila! 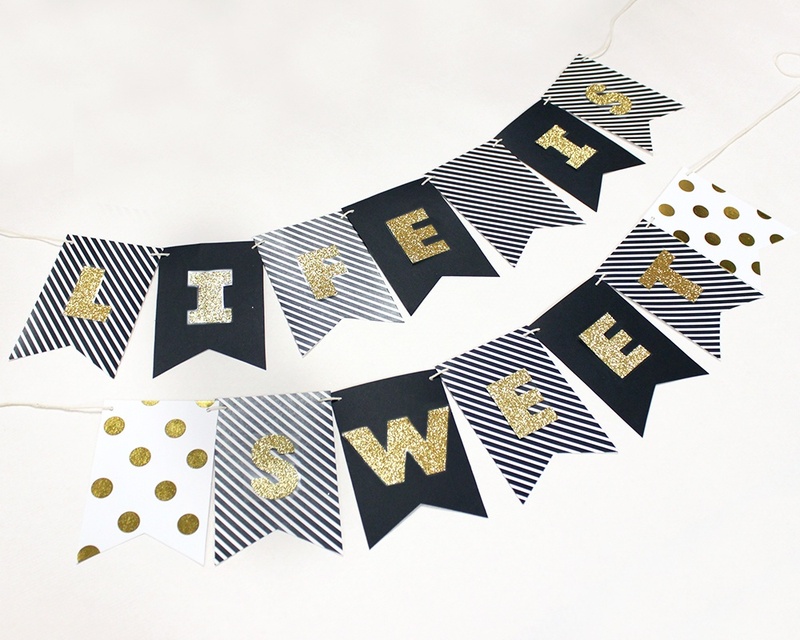 Your very own personalized banner that’s elegant, modern, and completely unique. 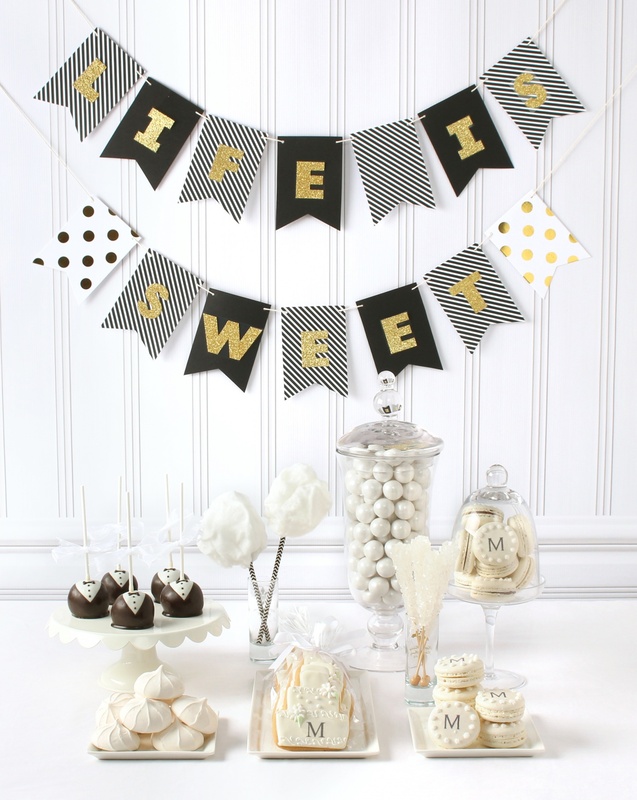 Hang above entryways to welcome guests, along table edges as decor, or behind a gorgeous dessert bar for pizzazz. 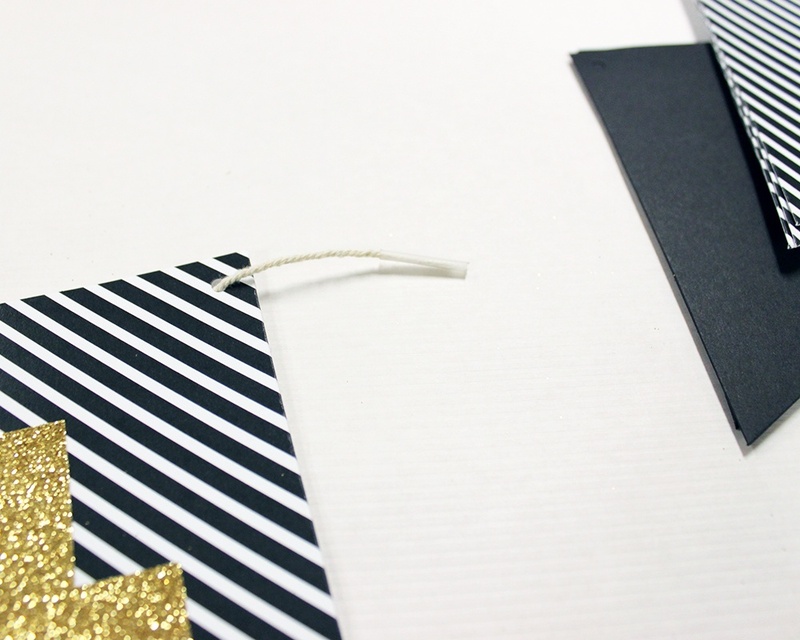 Get the mini gold glitter banner kit now to start customizing your own banner!